Can You Say The Same Thing As Your Friends? 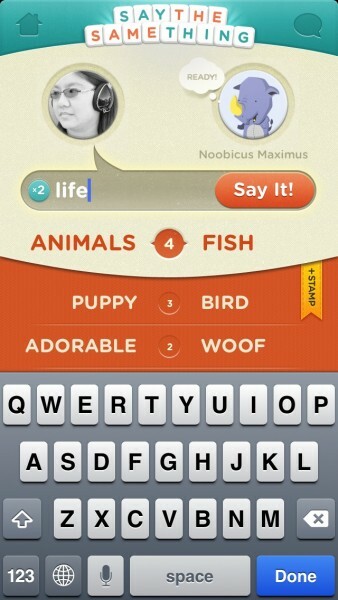 Say the Same Thing (Free) by Space Inch, LLC is a word game that isn’t like anything you’ve ever played on iOS before. It’s also unique, as it’s directly from the band, OK Go. 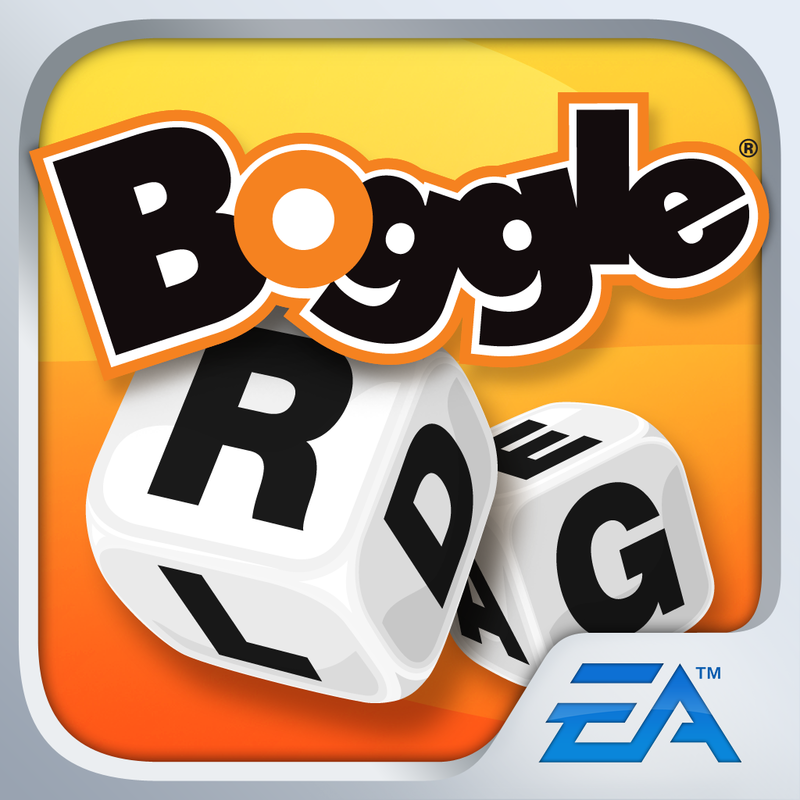 When you think of word games, you probably think of Boggle, Scrabble, and even new games, like Letterpress. 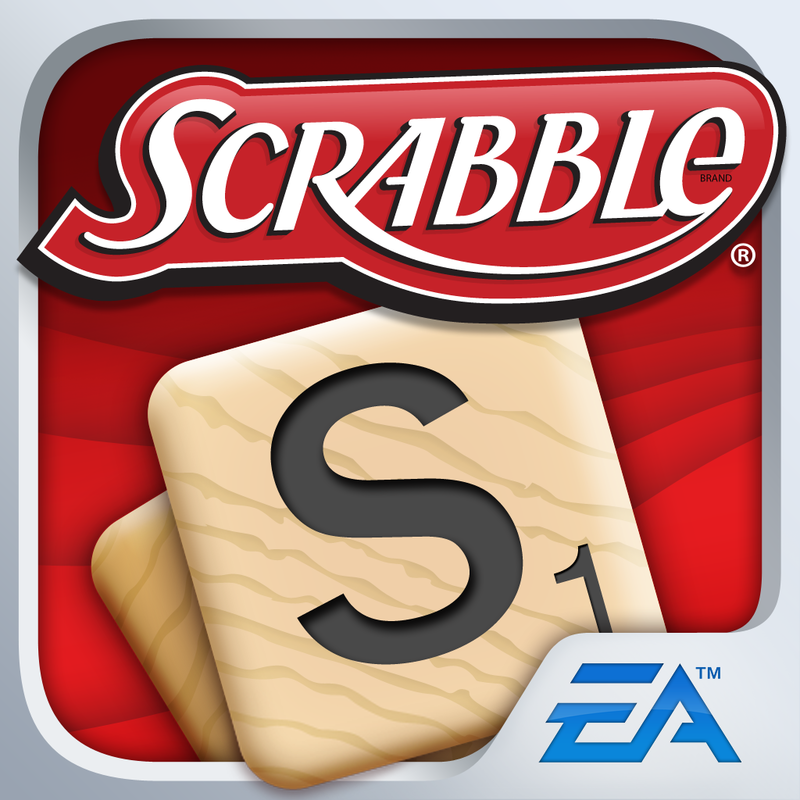 But have you ever thought of a word game where the objective is to, well, say the same thing? Now you can. 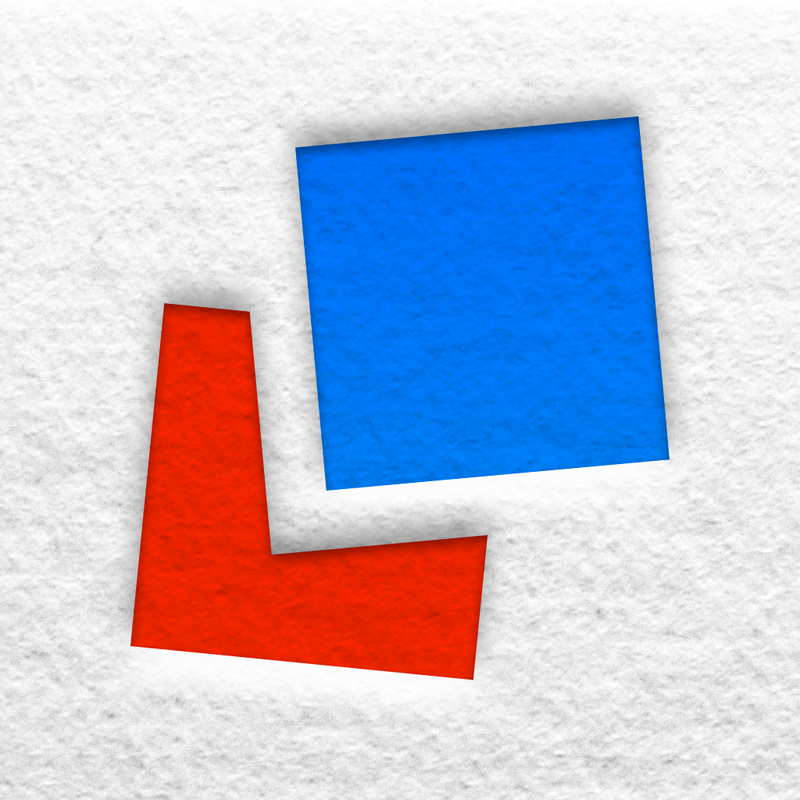 I’ve been playing this game through most of the weekend, and have to admit that it’s a refreshing take on word games, and it’s most welcome. 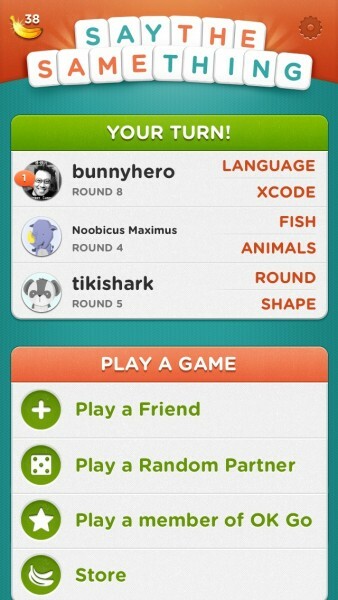 Say The Same Thing is a completely turn-based multiplayer game that you can play through two methods: Facebook or Game Center. 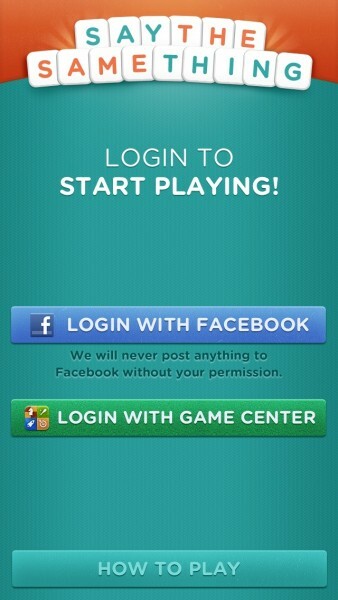 Unfortunately, you can’t log in with both at the same time, so you have to pick and choose. You can, however, quickly log out and log in with the other network quickly, so if you have friends who have one or the other, you can still play against them. 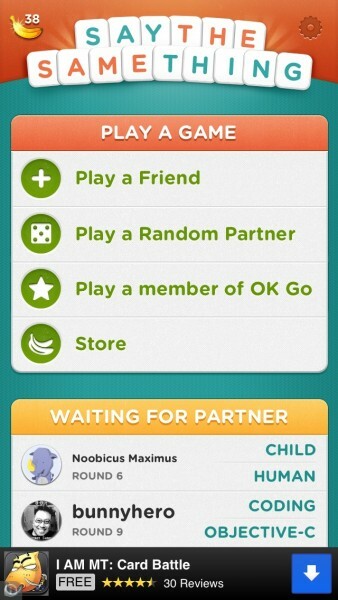 When you’re logged in with your network of choice, you can play a friend who already has the game, square off against a random opponent, or even play a member of OK Go. The app’s straightforward menu makes it easy to find a partner to play the game with, and you can also get notifications whenever it’s your turn or the game has found an opponent for you. In each game, you are prompted to say any word that comes into your head. There’s no boundaries — what you are thinking, just type it in and submit. Then you will wait for the other player’s word, hoping that they said the same thing as you. 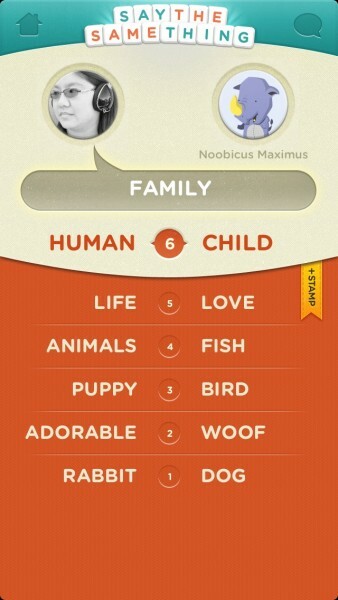 If not, you will go into another round, and say a word that has a similarity with the first two words, and hope that your partner will say the same thing. This will keep continuing, until both players say the same thing and win. At first, I found the game rather strange and weird, but it did take some time to get used to. Once you start seeing how it works, it’s definitely fun and addictive. It’s best played with people you already know, with similar interests as you, so you can test how synchronized you really are with each other. 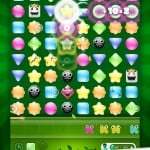 The game is also based on bananas, with each move you make using up one. You will earn more as you play and win. The game also has stamps that you are able to use if you want to send your reaction to the word that your partner submitted. 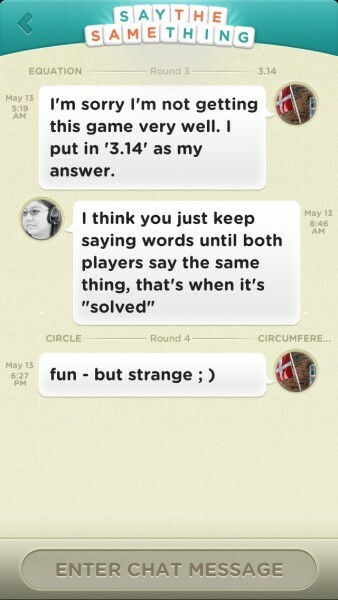 Say The Same Thing also has a chat feature, so you can talk to your partner as you’re playing. Sometimes, the words that both of you submit will be very close to each other. At times, you may want to say that it is similar enough that it should count. When this occurs, all you have to do is tap on the “This counts!” button to submit it to your partner, and if they also think it’s close enough and also taps on the button, then both of you will win the game. 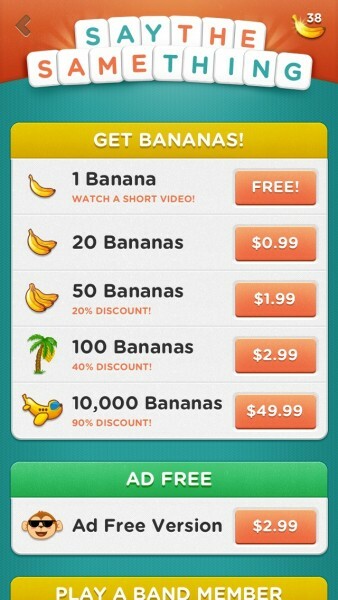 If you are running low on bananas, you can always buy more from the in-game store as in-app purchases. However, for most people, I think this shouldn’t be a problem. You can also support the developers and go ad-free for $2.99. I’ve been playing this game for the past few days and can’t get enough of it. 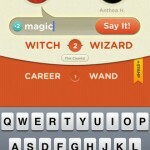 Say The Same Thing is definitely a new type of word game, and it’s quite invigorating, to say the least. 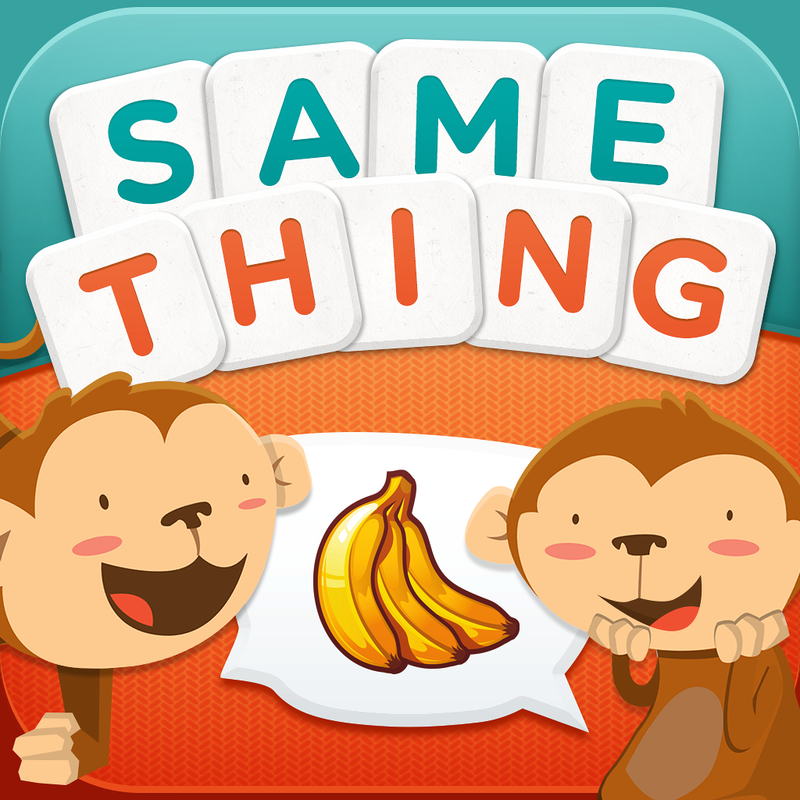 If you are looking for a new word game to keep yourself occupied for a while, then make sure to check out Say The Same Thing in the App Store for your iPhone for free. And of course, don’t forget to tell your friends for the best experience.